And so that was it. Liverpool 1-3 Sevilla. Two final defeats in three months, a second consecutive European final loss, and – honestly – a very mediocre performance across the 90 minutes. It looked to be going perfectly when a Daniel Sturridge wonder goal put us 1-0 ahead, but Sevilla’s goal just 20 seconds into the second half killed our energy and our confidence, giving them a platform on which to build what turned out to be a relatively comfortable win. Unsurprisingly, fans on Twitter are not impressed. But remember guys – we weren’t expected to go this far. It’s been a great run packed with good memories. Klopp is building something, so let’s stick by the team during the next depressing few days. Also – no European football next season. Remember what happened last time that was the case?! 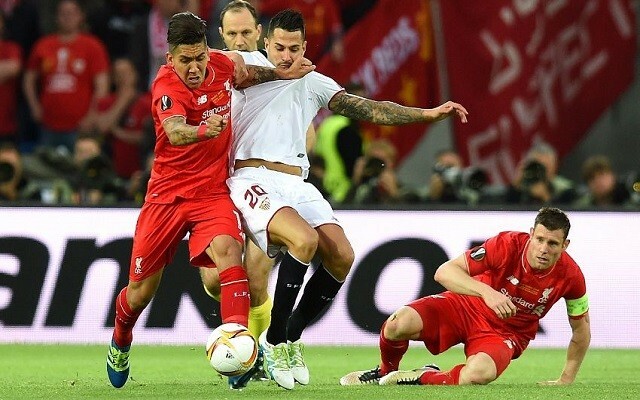 #LFC lose after delivering their worst-ever 45 minutes in a final. Much worse than first half v AC Milan in 2005. #LFC wildly overachieved in the cups thanks to a world-class manager getting magic out of mid-table players. Time for significant upgrading. It's been a great run to the final but as the league has told has this squad isn't good enough – needs another revolution this summer. #LFC. Liverpool unlucky, very poorly played second half. Felt like you crumbled under their pressure. As disappointing as that second half was for Liverpool, it does wonders for their title chances if they have a decent transfer window.